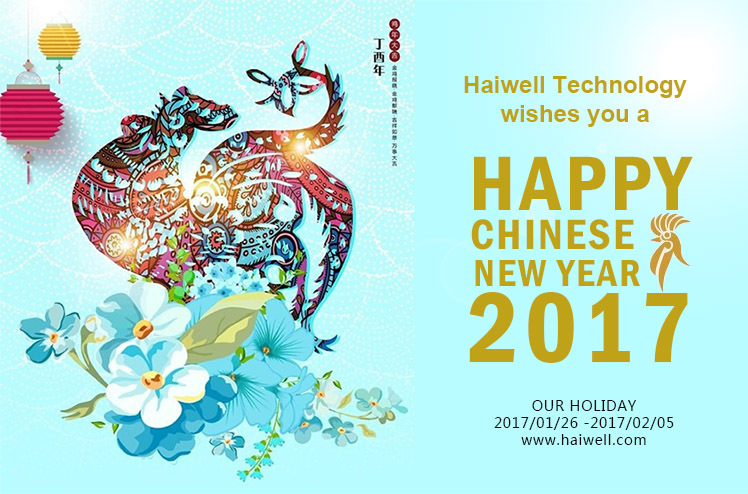 Happy Chinese New Year 2017!-Xiamen Haiwell Technology Co., Ltd.
As the Chinese New Year is coming. Please kindly take note that we will be on holiday from 26th Jan to 5th Feb 2017, thank you ! Wish you a Happy Chinese New Year ahead!